Whitmore Park Primary School and Willenhall Community Primary School, together form The Affinity Federation. Whitmore Park Primary is a 3-form entry school on the North-West side of the city and is situated in an area of primarily private housing. Willenhall Community Primary is a 2-form entry school on the South-East side of the city and is situated in an area of social deprivation. Working within the Federation, enables staff to experience these two contrasting communities. 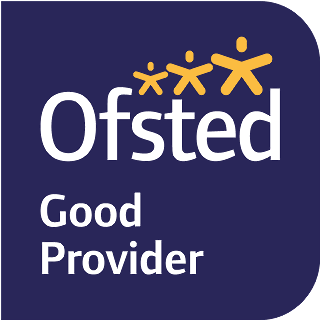 Within our Federation, staff are valued and supported to deliver high quality teaching and learning to our pupils. We offer bespoke CPD which includes internal, external, local and national training. We are part of the ‘Aspire’ network which is a group of eight local schools sharing practice and development. Meetings are held on a regular basis. All staff have termly coaching sessions with our Teaching and Learning Consultant. These sessions are one-to-one and support staff’s individual development needs. We have developed an effective ‘Career Pathway’ to support the induction and development of all staff. This large Federation enables opportunities for career progression and promotion across the schools. The Federation is mindful of staff’s work-life balance and as such, planning and preparation time is a high priority. Senior leaders support staff with providing skeleton plans/schemes of work for all subjects. Careful consideration is given to staff well-being. We have a counsellor available on site who supports staff with any personal issues and if required further appropriate support can be put in place. In addition to this, we have a ‘reducing workload’ working party who meet on a regular basis. At Whitmore Park Primary, class teachers have a collaborative planning (PPA) session with their year group one morning or one afternoon a week. In addition, each teacher has a further hour of PPA time. Specialist teachers in Art, Music, PE and Computing plan, deliver and assess these subjects which are taught during PPA time. In addition to this, NQTs and core subject leaders receive an additional session of non-contact time each week. All Early Years and Key Stage 1 classes have additional teaching assistant support and within Key Stage 2 there is an additional teaching assistant who supports around the year group teams. The Year 6 team comprises four teachers. At Willenhall Community Primary, class teachers have a collaborative planning (PPA) session with their year group two mornings or two afternoons a week. All year groups have teachers around the team who support leadership and NQT time. Specialist teachers in Science, Art, PE Music and/or French, plan, deliver and assess these subjects which are taught during PPA time. All classes from Early Years to Year 5 have additional teaching assistant support. The Year 6 team comprises four teachers. Both schools enjoy the support of an additional reading teacher in the afternoons to deliver group reading alongside the class teacher and teaching assistant. Both schools have an additional Enhanced Resource Class which delivers a bespoke curriculum for pupils with significant SEND needs at Key Stage 2. These classes have between 10-14 pupils with one teacher and two teaching assistants. Behaviour management is the shared responsibility of all staff. Seniors leaders are highly supportive of behaviour management so negative behaviour does not impact on teaching and learning within the classroom. We have combined staff social events and competitions across the Federation. If you are interested in joining our team, you are welcome to contact either school.